Bon Appetit has named the simple cutlet the dish of 2017 and I have to agree. 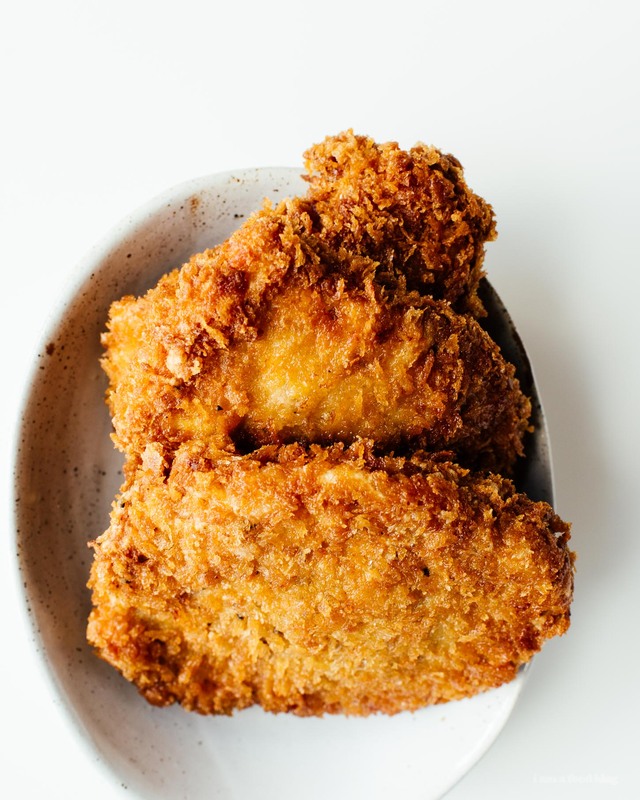 What’s not to love about a crispy, crunchy fried piece of meat? What makes them even more lovable is the fact that they come in so many incarnations. There’s Southern chicken fried steak, Swiss/German/Austrian schnitzel, Italian milanese, and, of course, my all time favorite, Japanese tonkatsu. To be honest, I don’t remember eating my first ever tonkatsu, but I do remember my first ever tonkatsu in Japan. 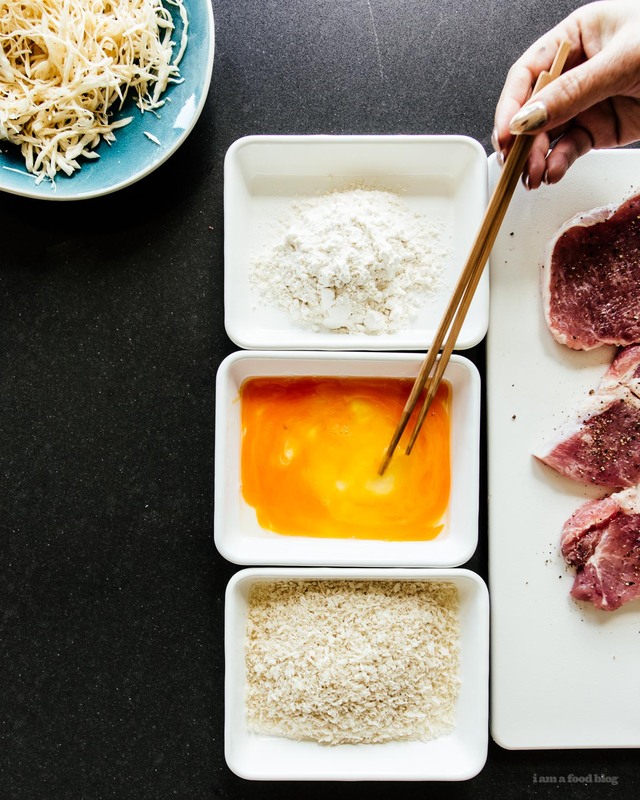 Much like everything in Japan, tonkatsu can be both casual and very high end. 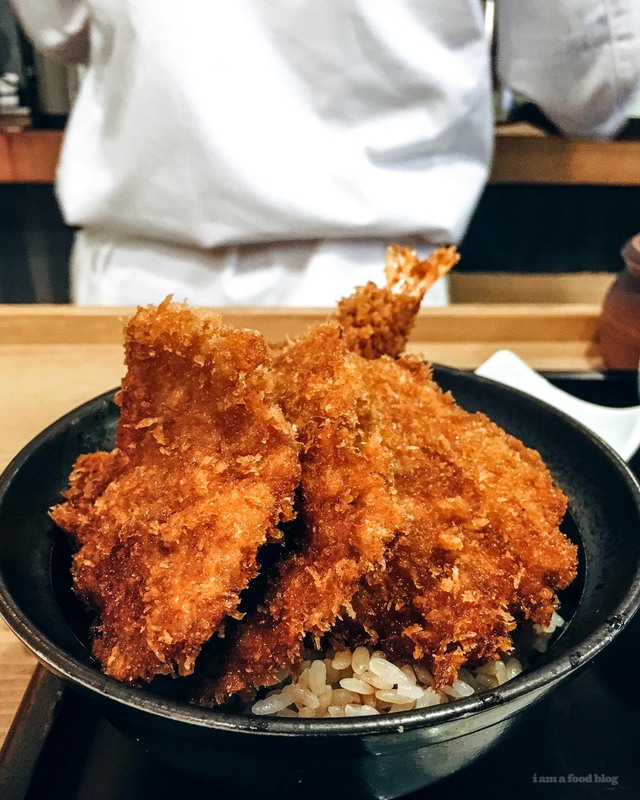 You’ll find cheap and cheerful mom and pop tonkatsu shops nestled next to Michelin starred fancy tonkatsu destinations. Mike and I never say no to good tonkatsu, which means that we’ve eaten a lot of tonkatsu. 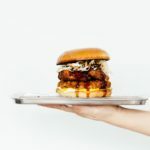 I love tonkatsu with a bowl of fluffy white rice, crisp finely shredded cabbage, and plenty of tonkatsu sauce, but I also hold a soft spot in my heart for katsu sando: a perfect sandwich of juicy crispy pork tucked between two slices of soft white bread. In Japan, they sell katsu sando almost everywhere, from the corner 7-11 to the fancy food halls of classic department stores. 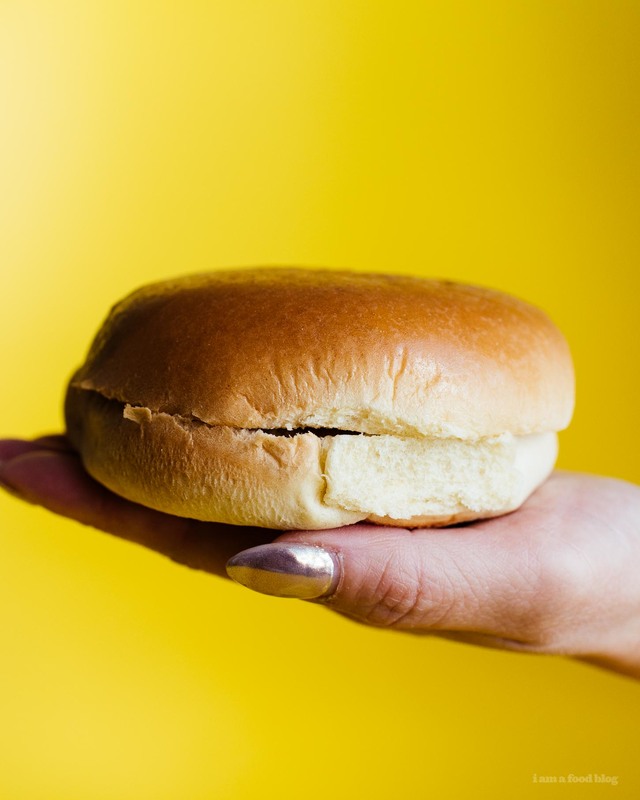 One popular tonkatsu restaurant chain even sells mini burgers, conveniently wrapped up and ready for snacking. 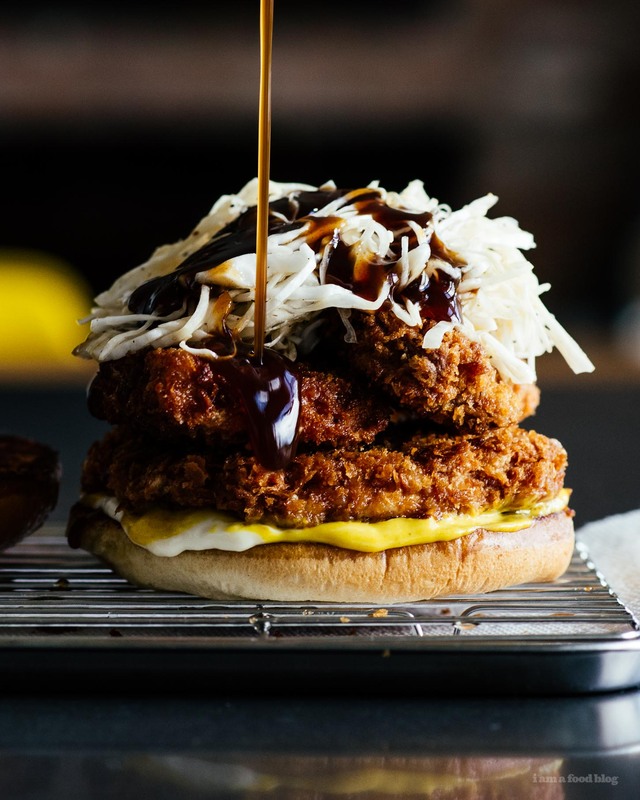 These massive double tonkatsu burgers are nothing like the cute restrained elegance of those mini burgers, but they sure are tasty and quick to whip up. 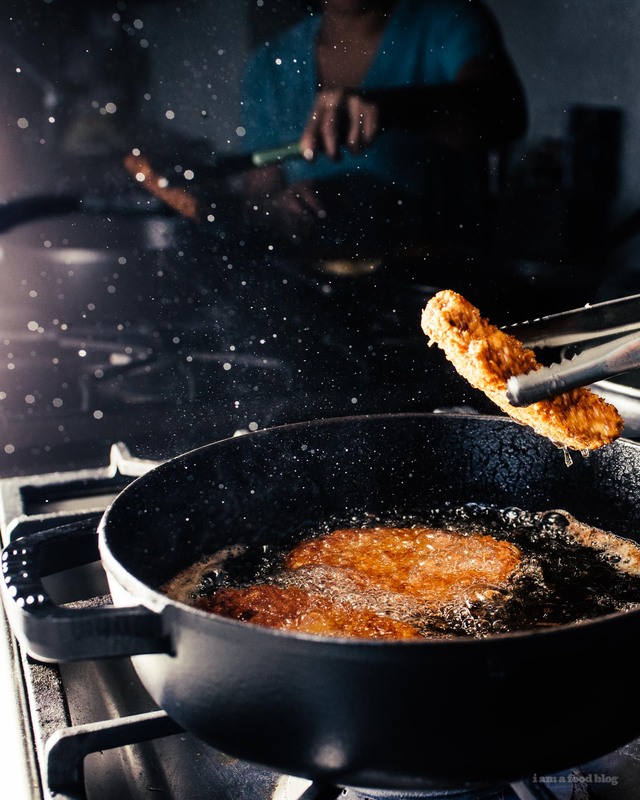 You have to set up the classic 3 dish breading station of flour, eggs, and panko, but once you’ve pounded your pork, it’s just a quick dip in each bowl, into the frying pan, then on to a bun. I topped off these guys with a sesame rice vinegar slaw, reminiscent of the thinly sliced cabbage you get with a tonkatsu set. The crisp freshness is the perfect foil to the hot and juicy pork. 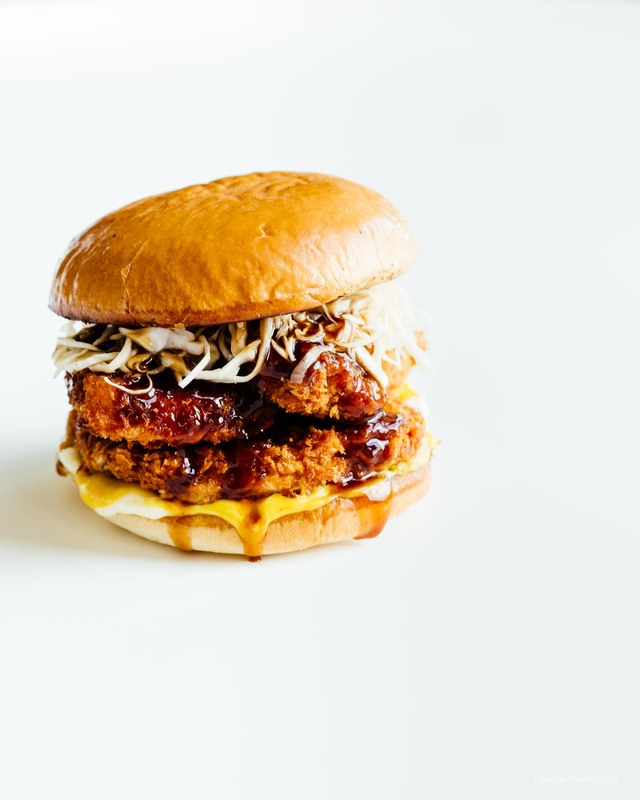 Don’t forget a slick of kewpie mayo, karashi (Japanese mustard), and a generous drizzle of tonkatsu sauce. You’re in for some good eats! Lightly pound the pork chops until thin. Season generously with salt and pepper. Dip in flour, then the egg, then the panko to bread. Heat up 2 inches of oil in a deep, heavy bottomed pan over medium heat. When it reaches 350°F, carefully drop in the pork chops, being sure not to crowd the pan and cook, flipping once, until golden and cooked through, about 4-6 minutes per side, depending on thickness. Drain on paper towels or a wire rack. Whisk together the vegetable oil, rice vinegar, and sesame oil. Taste and season with salt and pepper. Toss with the shredded cabbage, adjusting to taste. 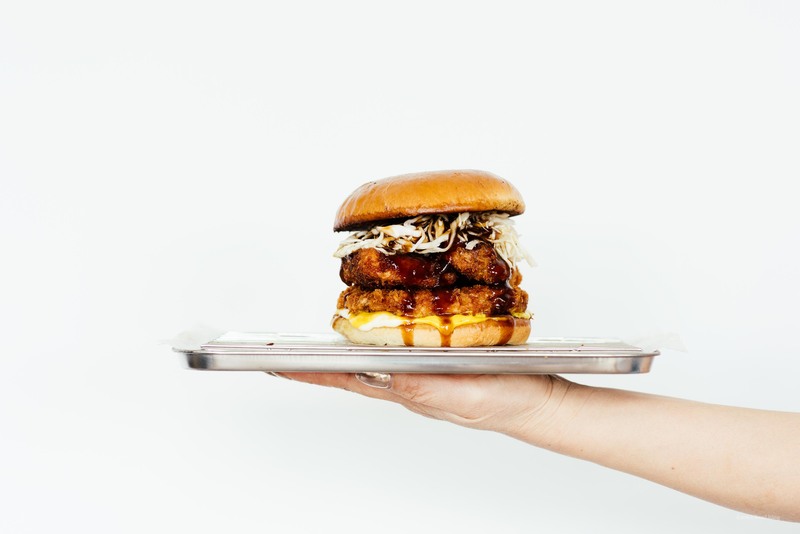 Make the burger: spread on mayo and mustard on the bottom bun and top with a tonkatsu cutlet and a generous amount of cabbage. Drizzle on tonkatsu sauce to taste. Enjoy! This looks like the best thing ever. I also have a memory from my time in Japan of something like a meatloaf sandwich, but with tonkatsu sauce instead of ketchup? I want all the sandwiches. oooh maybe it was a hamburg steak sandwich! or it could be menchi-katsu, which is kind of like a hamburger/meatball like filling, coated with panko and deep fried. sounds delicious either way!